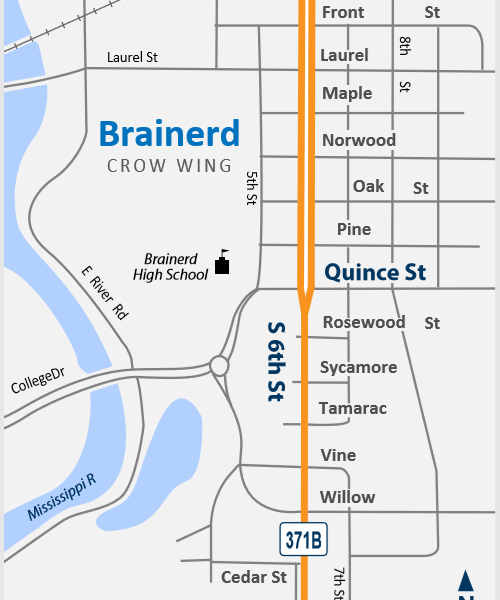 Work begins mid-April on the Highway 371B/South Sixth Street reconstruction project between Hwy 210/Washington St and Joseph St in Brainerd. Brainerd is open for business! Access to businesses and residences will be maintained and open during construction, but expect changes and watch for signs. For more information visit the project website or documents pages.